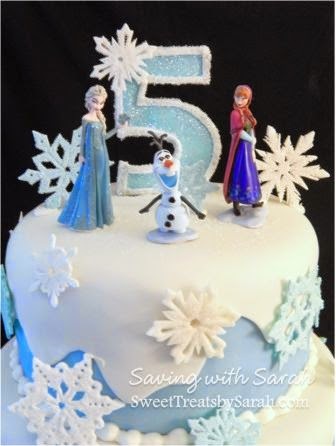 Seems like Frozen is still the top pick for birthdays. 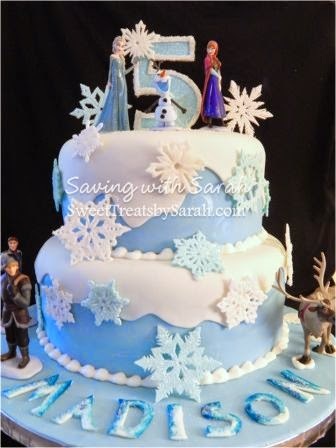 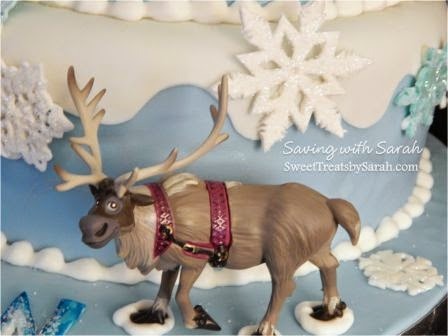 This 2 tier Frozen cake is covered in MMF and the snowflakes and topper are hand cut gum paste. 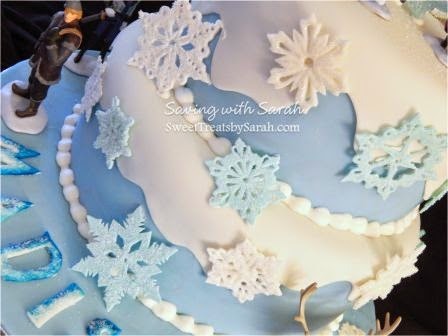 I'll be sure to get my snowflake tutorial up for September. 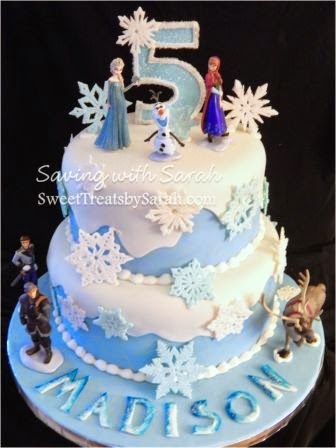 No, those characters aren't edible, but the little lady will be able to play with them after eating all that cake! 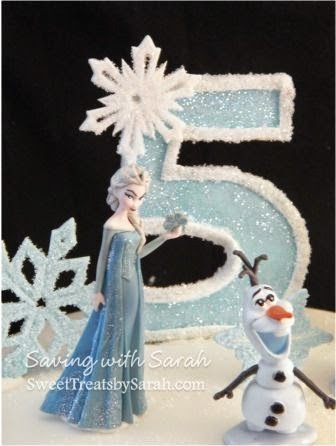 If you're interested in seeing some of my recent Frozen cookies go here. 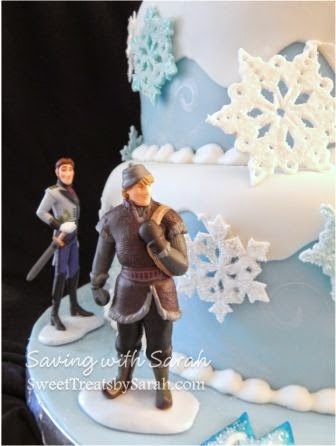 What size cakes are these?